The biometric data captured for unlocking the app will reportedly be encrypted and stored locally on an iPhone and not sent to the WhatsApp server. WhatsApp has enabled new authentication feature on its iOS version 2.19.20. One can now use Touch ID or Face ID to access the app. The new feature enables one to enable an in-app authentication feature. WhatsApp is rolling out a new authentication feature for iOS users that it was previously working on. The latest version 2.19.20 update for the app brings the new option for users. The new option enables an in-app authentication function so that only a valid user can access the app. The new authentication option can be enabled from the Privacy tab under the Account section of the apps’ settings. As per a previous report by WABetaInfo, users with iPhone X or above will get to use Face ID for verification and access to the app, while older iPhone models will use Touch ID for enabling the feature. 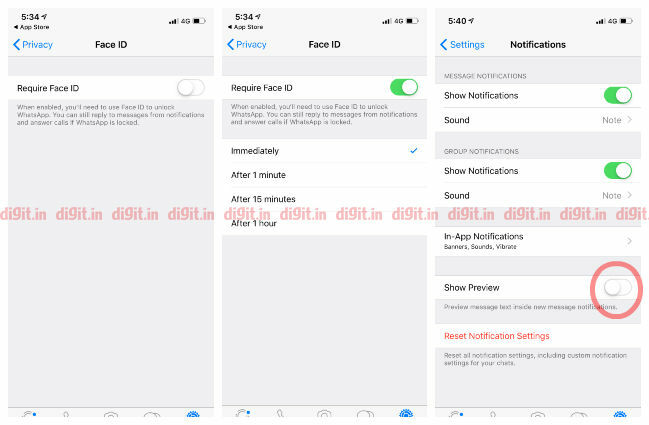 After the option is set-up, the phone will prompt users to use Face ID or Touch ID to access the app but there will also be an option to enter a passcode in case biometric authentication fails. The new option is not enacted when one replies to messages from notifications and this, in a sense, seems to defeat the purpose of placing authentication on the app as someone who has access to your phone but not WhatsApp will still be able to view incoming messages via notifications. However, there is an option to mitigate this by heading over to either the iOS app notification setting or the Notification tab in WhatsApp and toggling off the option called Notification Preview. The feature will also not be implemented when one answers WhatsApp calls but this is understandable since calls are of higher priority. Additionally, iOS won’t even show a preview snapshot of WhatsApp over the recent apps tab when the option is enabled. While WhatsApp has not detailed where the biometric data is stored, it is reportedly stored locally on an iPhone for authentication and thus will not be sent to WhatsApp. 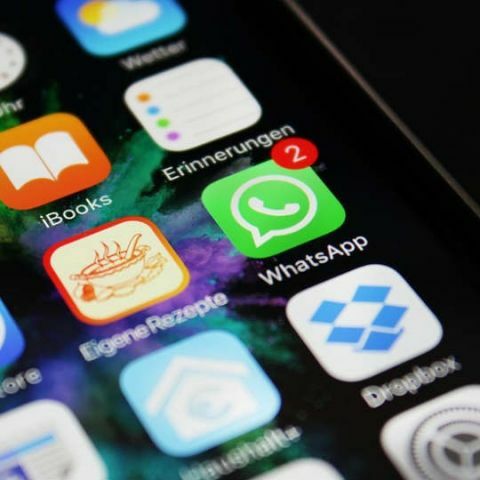 “Your fingerprint (or face) data is encrypted in your phone: for this reason WhatsApp is not able to extract this information from your device (and no data is sent to their server), because the authentication process is managed by iOS,” says WABetaInfo.